We are a mixed English/Slovak family (I am the Slovak part) with 4 children. I started homeschooling our eldest son Max with WES Homeschooling in 2013 when he was six and a half, while we lived in Moldova, as we could not find a suitable and affordable international school. I have not looked back since. Not only does homeschooling give us flexibility to move and follow my husband and live in countries where his current job is. It also means that, contrary to what our unsettled lifestyle suggests, our children have uninterrupted and familiar education within home. Watching our children develop and grow creatively and gaining their self confidence in all the subjects, is more than I had hoped for when I started our homeschooling journey. Over the years I have also gradually taken on the schooling of our two daughters. The quality of WES materials has given me confidence in taking on this task which I would never thought possible in the past. Meticulously detailed and suitably paced lesson plans, well chosen textbooks and practical methodology to all classes guarantee that I feel the subject are very well covered. This gives me enough confidence in the lesson content and I can concentrate on the teaching process entirely. We can also pace the everyday lessons as it suits us and adjust daily lessons around our family activities. As the lessons are one-on-one, children are more attentive and focused during the lessons and the daily school (4 subjects) does not generally take each child more than a few hours. 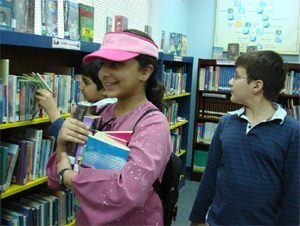 Children especially enjoy the choice of reading books provided with the English course. It is always very exciting opening a new package with materials for next term. Especially Max has grown from being quite a reluctant reader to loving his time spent reading and appreciating fiction as well as poetry. The example of an older sibling travels a long way. Thus our home has become, ever so often, a “house of reading children” when they all just quietly enjoy a good read. Although, the picture of homeschooling I have given so far seems somehow rosy, the big part of motivation for the children, I must admit, comes from having a tutor who examines their work on regular basis. It adds an extra input to their everyday efforts which would be otherwise hard to generate. WES tutors give detailed reviews with experienced insights and comments which bring the teaching/learning process into another perspective for me. 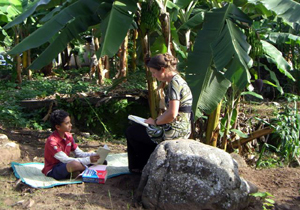 The tutors are very helpful and caring about the children´s progress. WES office is always very flexible and speedy in dispatching the schooling materials. I cannot name all the positive aspects of homeschooling for us as a family. As a parent I appreciate especially being able to oversee the process of learning and be familiar with the extent of our children´s knowledge. As a homeschooling mother, which I never thought I would be, experiencing confidence in schooling your children and knowing exactly what to do every single day on every subject, I even have space to enjoy it all. And WES has a lot to do with it. WES has been a major part of our family life overseas and we would not hesitate to recommend it to other families. We have been impressed by the high professional standards of WES both administratively and educationally and also by the flexibility of WES in the different schooling situations we have faced. We first connected with WES when our daughter began Year 8. She had been attending a national school but we realised that she needed to follow the UK syllabus to enable a smooth integration into the UK education system. She followed the whole breadth of the WES curriculum apart from maths which I was able to cover myself. The choice of text books and literature was excellent – I really enjoyed the opportunity to cover the subjects myself and explore them with my daughter. The WES programme provides full notes guiding the teacher and then very thorough feedback from tutors on the assignments sent to UK. When we returned to UK at the end of Year 9 our daughter made a very smooth transition into a local school. Her love of learning and discussion and also her personal study skills developed through the time with WES, putting her in a very good place for Year 9 studies in UK. We had some years in UK as a family, returning overseas when she went to study Natural Sciences at Cambridge. Without a doubt, her love for science was really encouraged through the WES syllabus and the hands-on practicals in the kitchen! Our connection with WES has continued now with our son. On returning overseas, he attended an international, French medium school for Years 6 and 7 and during that time we followed the WES English programme to make sure that his English would continue to be extended. We were able to arrange with the school that he worked separately during the time tabled English class. However this year he has been fully home-schooled, with support from WES Year 8. This time my husband has been involved covering the Science syllabus and this has been a very special father-son experience. We will be returning to UK at the end of this year and the reports sent by WES have been useful in starting the process of application to UK schools. Over the years we have always been impressed by the prompt and professional support of the WES home office in correspondence, reports and logistics, as well as the personal support and interest shown by all the WES staff. We sense we have been part of a ‘family school’ with the staff knowing both our children and our children studying similar books and assignments. Over the years and miles it has been a very family dynamic, and we are so grateful. The cost for what we get is amazing, especially compared to international schools in Asia – and our daughter’s knowledge and understanding of so many things is much better than that of girls in her age group -even up to 2 years above her- who attend some of the international schools here. We will be starting Y7 shortly and even though we are now more settled and don’t move as much anymore, we will still continue with WES as long as we can. Unfortunately, as things are now, only up to Y9. The administrative side of things works very well too. We never had any problems getting our materials delivered, no matter where in the world we were. Everything is very well organized and runs smoothly all the way. (Thank you Alison). I can’t recommend WES highly enough. Being in control of our daughter’s education as well as the freedom it gives us, is priceless. Thank you all at WES for making school and learning so much fun! My husband and I work and live on a farm in Zambia. We did not want to go the usual farming route of sending our daughter to boarding school so we decided on homeschooling. We have been part of the WES family since my daughter started reception and she is now 12. It has been such a wonderful education for her, I simply can not recommend WES enough! The books provided are excellent and many of them will be useful all through her school career. Other materials and equipment are excellent and comprehensive. The actual lesson plans are so well-laid out and clear and on top of that, having our own tutors, first Rebecca Snell and now Helen Coniam has been an excellent way of keeping a professional eye on our progress. They have both taken the time and trouble to send detailed and instructive reports which I have found really useful, being a non-professional teacher myself. The WES course is very child-orientated which is particularly good for little ones starting school; keeping their interest and all the while, they are learning while doing fun and varied lessons. The curriculum has been very extensive and I believe this is a superb grounding for her future, in school and in life. From reading her first book, Top Cat (I am Top Cat!) to the hours she now spends curled up devouring, among many others, Harry Potter, Percy Jackson or that wonderful cat Atticus Claw, WES has instilled a love of reading in my daughter that will always be with her, and her life will be so much richer for it! I intend to carry on with WES until my daughter reaches the upper limit of 14 and if WES went further, we would be continuing with them! We started home schooling with WES for English when our daughter was six and attending French-speaking Swiss primary school where English was only taught as a foreign language. We wanted her to retain the same level of English as her peers in the UK. We considered a number of companies at the time but chose WES because we got the best “feel” from them. We loved receiving the yearly WES packages with the course work, the audio cassettes and the course and story books. We spent many weekends and holidays working together, and listened to the stories in the car on the way to and from activities, so the whole family were involved. It was a special time for us. Our tutor was lovely, very helpful and took a real interest in Emilie’s progress. We continued until Emilie was 11 and she moved to a bilingual (French/English) school, where she was ahead of her peers in English. She then moved to boarding school in England, taking English literature at A Level and obtaining A*. She is now at Trinity College, Cambridge, studying Mediaeval languages and history. She loves languages and books, and it all started with WES! WES has been very good for us, it developed a life-long love of language and literature in both our children, and provided some very happy family-bonding time. We have recommended it to our friends here and consider it one of the best things we did with our children. “English materials covered the National Curriculum in an imaginative, yet thorough manner and students felt inspired by the books chosen as readers. Readers developed and extended student vocabulary and grammar as well as ways in which to develop a plot. The exercises on grammar were accessible and at the appropriate level to maintain interest, yet being enjoyable and fun. Humanities exercises were well supported with excellent reading material with superb illustrations, well thought out exercise and activities from which students were able to learn and appreciate how others lived in the past. Science syllabus was backed up with relevant materials and equipment, so that students learnt a variety of principles through experiments and making models. Sometimes experiments were adapted to local conditions such as the Tropical Rainforest in Uganda. “My family has done home-school with WES from January 2007 to June 2009. During this time, WES shipped home-schooling materials to us and WES tutors reported back to us on the children’s assignments we sent them. Unpacking and arranging their meticulously packed contents became an annual family treat and an enjoyable prelude to the school year. Along with Maths and Science kits that conveniently brought together a plethora of learning aids not always readily obtainable locally, the four curriculum strands, English, Maths, Science, and Humanities were well supported by the WES material. The lesson plans were detailed and augmented by extensive teaching notes, the workbooks were appropriately challenging and supplemented with extension activities, and my children devoured the well-selected textbooks. Sending work samples and tests to the tutors reinforced the WES home-schooling experience with goals, measurable outcomes, and regular assessments of the children’s progress. Sue Harrop and Mary Michell our WES tutors emailed back substantive reports without delay. Emmett and Jason always looked forward to my discussing with them the WES tutors’ encouraging and constructively challenging reports and their very helpful teaching suggestions. WES offers home-schooling as a family experience. In ours, home-school helped provide stability and continuity as we eventually moved across three continents. Home-schooling Emmett and Jason has been a cherished family privilege very well facilitated by WES. “We are really pleased. The materials are very to use, even when we have to fit homeschool around our jobs, and with excellent support from the tutor we are overcoming our son’s initial reluctance with reading. He has found maths much easier, and the WES system is very flexible in allowing him to progress at his own rate in each of the subjects. Our confidence in WES has allowed us to make the decision to leave our son in the local school system, whilst planning to continue with WES at home, so that he can continue both his English and his Swedish.